After a long break hear you have Single poster frame with modern Chair. 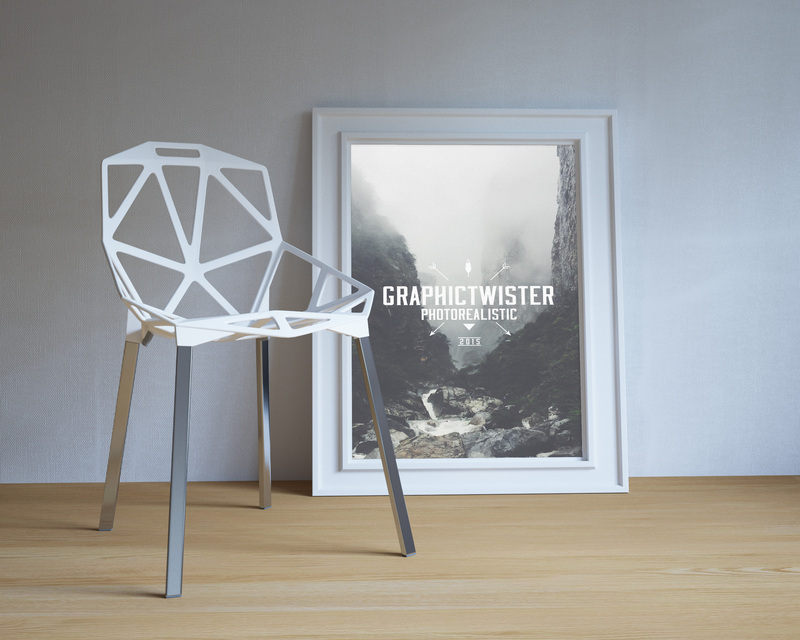 You can use the mockup to show case your design or presentation in white wall frame with photorealistic effect. Add your image inside the smart object and enjoy you work.